When it comes to welding or any type of metal work, making sure you're properly protected should be one of your number one priorities. This makes picking out a proper welding helmet a lot more tedious. 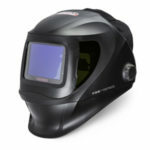 Besides deciding on a price range, you'll want to make sure the helmet you choose has the perfect viewing area, great comfort and includes more features that help you make the perfect weld while not damaging your eyes. 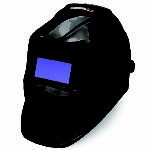 Luckily, Hobart has you covered with their Pro-Variable Auto Darkening welding helmet. 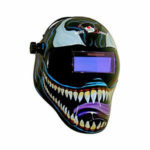 Hobart, a well-known company who is constantly producing top of the line quality protective gear, has packed some of the best features into the Pro Variable helmet. 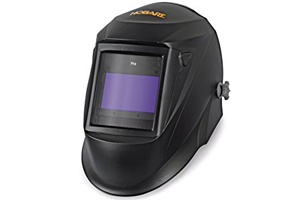 made with a durable and light framework, great viewing area, and various shade settings, the Hobart 770753 Pro Variable would be great for any welder. Read through our detailed review below to find out more and make you're own decision. With the Hobart 770753 being part of the Pro Series line you can expect it to have a massive viewing area of 9.02 square inches. Combine that with variable shade settings from #8 to #13 and an excellent 1/30000 second switch speed you'll be able to make better welds with ease. Comfort is another important factor when looking for a perfect helmet. I've had too many bad helmets that ended up causing a lot of discomfort, especially in my neck after having to work extended hours on projects and I'm sure I'm not alone on that. Thankfully one of the things the Hobart 770753 is well-known for is it's great comfort, reducing strain on your neck. 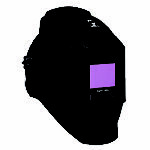 This comes from it being made of highly durable polymide and from Hobart's new ultra-comfortable headgear. With this lightweight and comfortable design you won't have to worry about any discomfort when you want to keep working those long hours. I really didn't have too many complaints with the Hobart 770753. The two main things that bugged me was that I had issues adjusting the headgear (which might of just been a problem with mine) and the material for the helmet felt a little cheap. But the material is still great at providing a lightweight and comfortable feel, which more than made up for the problems. In all my research and own personal experience I ended up loving the Hobart 770753. With a great viewing area and amazing comfort it exceeded my expectations and became one of my own favorite helmets to use. Not only is it a great helmet but it has a great price compared to other similar performing helmets on the market, making it worth every penny.